Adjusted for FX volatility, retail lending slowed to 10.6% YoY from 11.4% as loans in local currencies decelerated from 23.3% to 21.9% YoY. 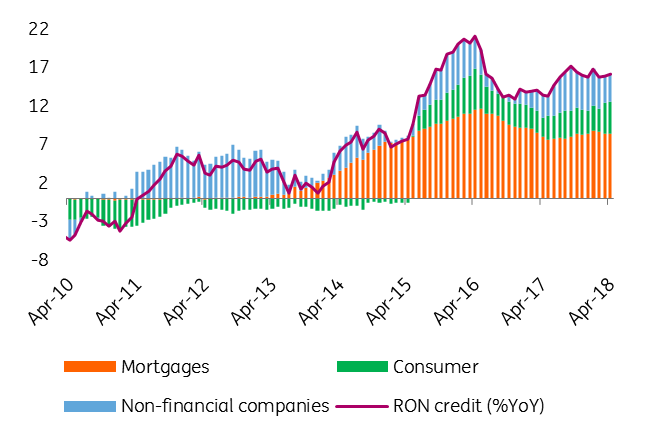 Corporate loans accelerated to 4.0% YoY from 2.0% on both the acceleration in RON borrowing (from 7.8% to 9.7%) and a moderation of the contraction in FX lending. 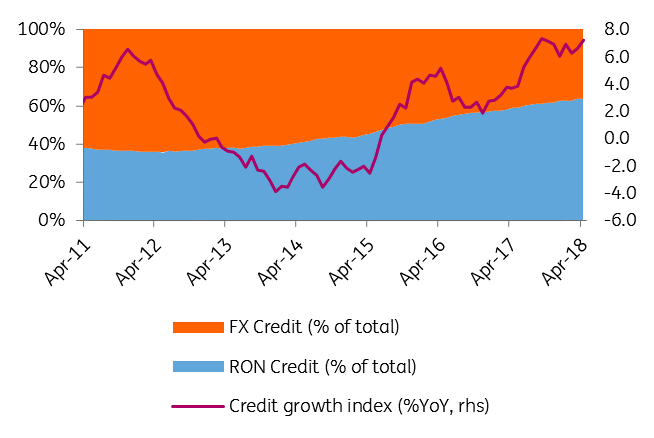 Despite higher RON interest rates, the share of local currency loans increased by 0.4ppt to 64% of the total in April. 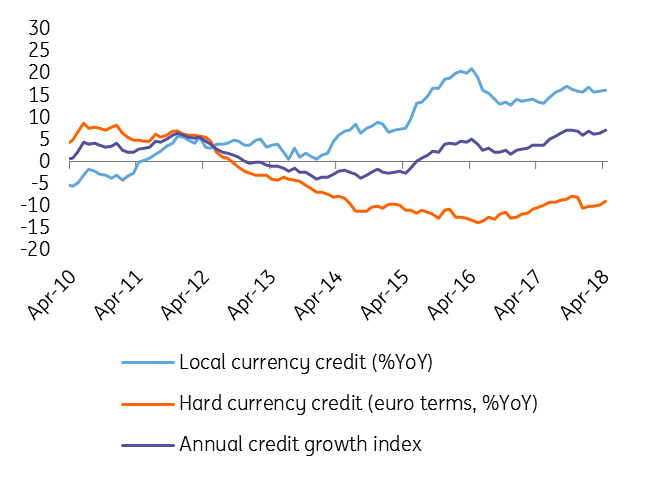 And despite rising interest rates, local currency consumer loans continued to accelerate, posting a 16.2% YoY growth in April, while mortgages in RON decelerated slightly to 35.0% YoY. So far, central bank tightening has not slowed down the pace of lending. With over 90% of mortgages in floating rates, some of the set-back in consumption should be due to the improved monetary policy transmission. Bank lending data should not concern the central bank after recent policy tightening, but the recent deterioration of the macro backdrop should keep the central bank on hold for the next two meetings in July and August. In fact, we see no rate hike this year provided there is no depreciation pressure on the RON.